Russian lender Alfa-Bank, has filed four new lawsuits against the country’s leading regional carrier UTair and UTair-Leasing. This comes a day after a leasing company filed a bankruptcy petition saying UTair failed to pay $67,000 for leased airplanes. In late November, Alfa-Bank sued the airline in a Moscow court for an unpaid debt of $11.85 million. On Tuesday, court bailiffs seized UTair’s seven Mi-8 helicopters, TASS reports. “We aim to constructively fix all the financial problems. Filing a bankruptcy petition is a standard tool used by the creditors that have a small amount of debt to claim,” Andrey Martirosov, UTair CEO said. 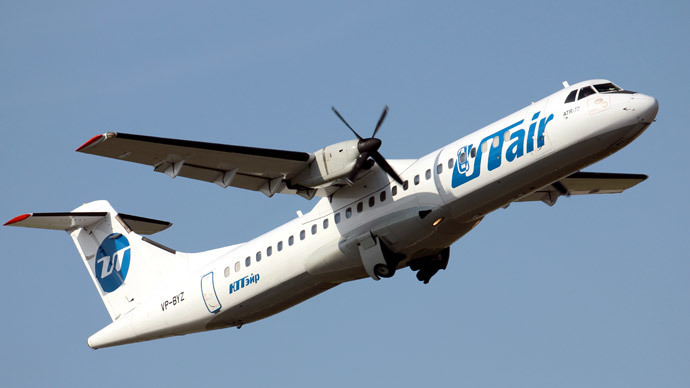 On Monday, UTair settled part of its $67,000 million debt to Avialeasing, TASS said. It had filed a bankruptcy petition against the carrier, claiming the airline had failed to pay the leases on a number of Tu-154-M planes. The Russian government has been quick to react, saying it is “discussing” ways to help UTair out of its problem, according to Russia’s Vice Premier Arkady Dvorkovich. Currently UTair is being sued for more than $13 million. UTair is the third airline in terms of passenger traffic in Russia. The total debt of the company is about $1.1 billion (60 billion rubles). UTair revenue for the first half of 2014 amounted to $600 million (32.8 billion rubles) with net profit of $100,000 (5.5 million rubles).